A BUSINESS leader here wants the government to closely monitor global oil prices after the Development Budget Coordination Committee (DBCC) recommended the lifting of the suspension of the fuel tax next year after oil prices dipped in the world market in recent months. 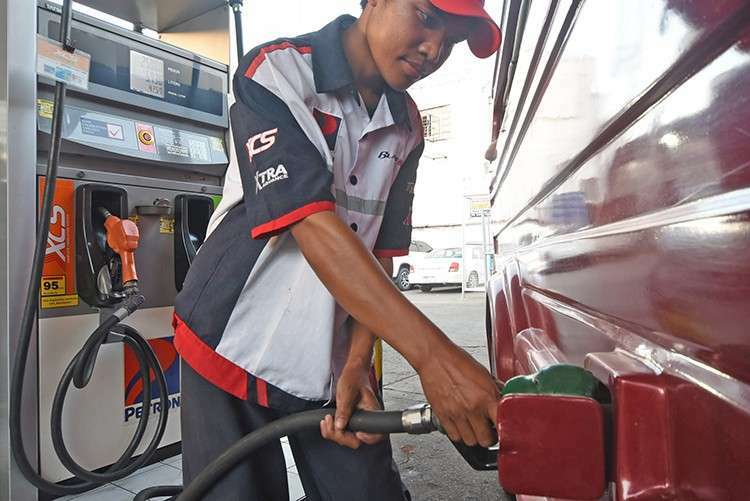 Mandaue Chamber of Commerce and Industry (MCCI) president Stanley Go, said the slight dip of crude oil prices in Dubai from $79 in October down to $68 per barrel in November may possibly offset the tax hike on fuel next year and may change the course of the inflation in the country. “With the reduction of oil prices in the global market, I think it will just offset each other. Right now, we have tempered inflation, it is not increasing anymore. It has slightly dipped because the prices of fuel in the world market is going down and, of course, the improvement on the foreign exchange (forex) between the US dollar and the Philippine peso. But, I believe that we just have to closely monitor because it is also not good if inflation will be out of hand,” said Go. The Bangko Sentral ng Pilipinas (BSP) forecasted the end of 2018 with a 5.2 percent inflation rate and 4.3 percent (from 3.7 percent) and 3.2 percent respectively, for 2019 and 2020. The current exchange rate of a US dollar to a Philippine peso is at P52.6 on Nov. 29. Go said that with the high employment rate, some Filipinos may not have felt the inflation too much, but, he urged the government to monitor the impact of the lifting of the suspension. “Right now there is a lot of employment and because of that, consumers slightly felt the impact of inflation because people have jobs. But it will really be painful if people do not have jobs and the prices of goods are soaring. The financial arm of the government really has to closely monitor its impact and how it affects the country. If the (oil) prices are going down and they impose the excise tax it will basically offset each other,” he said. “But the problem here is if the decision on the implementation is not consistent, we will get confused. They have to do their homework, they have to study carefully,” Go added. According to the Philippine Statistic Authority (PSA), the employment rate in the country is higher at 94.6 percent in July 2018 compared to the 94.4 percent on the same period last year. On 2019, the tax on LPG will go up to P2, diesel to P4.50, gasoline to P9 and kerosene to P4. The DBCC recommended the continued implementation on the excise tax on fuel noting that its suspension would have an “adverse” impact on revenues and expenditures for the next fiscal year. “The said measure is estimated to result to a net revenue loss of P43.4 billion for a 12-month suspension, assuming Dubai crude oil prices average $65 per barrel in 2019,” the committee stated. The DBCC is composed of the Department of Budget and Management, the Department of Finance, the National Economic and Development Authority and the Bangko Sentral ng Pilipinas. The recommendation came two weeks after President Duterte approved the suspension of the scheduled increase of fuel tax rates of petroleum products in 2019, in a bid to tame the soaring prices of goods.